Thank you for your help last Saturday! There were almost 40 of us cleaning up the streets of Caldmore and Palfrey, it really made a difference! See you next month on Saturday, April 27th – we’re meeting at 10.30 at Aisha Mosque. 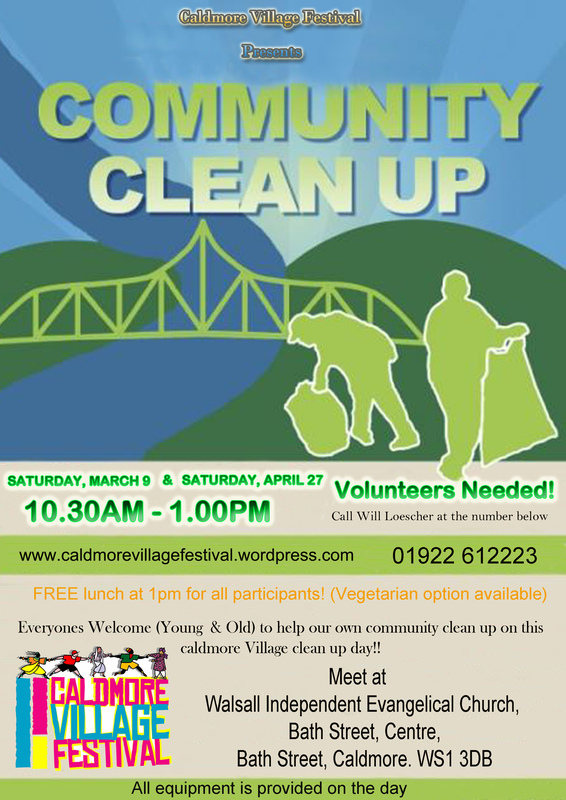 Caldmore Village Clean Up this Saturday! Everyone is invited, young and old. We’re meeting at 10.30 am at Bath Street Centre (Walsall Independent Evangelical Church).